David Cameron and George Osborne were struggling to maintain a semblance of unity in the Tory party as allies of Iain Duncan Smith said he had quit the cabinet because he regarded their cuts to welfare as “morally indefensible”. The extraordinary accusation from the Duncan Smith camp came the day after he sensationally quit as work and pensions secretary in a bitter row over £4bn of cuts to benefits for the disabled, which were announced in Osborne’s budget last Wednesday. On Saturday, as the Conservative party descended into a savage war of words over the reasons for the resignation, friends of the prime minister and chancellor tried to undermine efforts by Duncan Smith to occupy the moral high ground, insisting he had personally agreed to the cuts last week and supported them at cabinet on the morning of the budget. They also suggested that Duncan Smith – a supporter of Brexit – had been looking for several weeks for an opportunity to resign, and claimed that he wanted to find a moment when he could inflict maximum damage on the campaign led by Cameron and Osborne to keep Britain in the European Union. Duncan Smith’s allies said he had reluctantly gone along with the disability cuts in advance of the budget but had decided to quit when he felt he was being made to “carry the can” for the policy. Writing in the Observer, Bernard Jenkin, a Tory MP and chair of the Commons public administration select committee, says that Duncan Smith was not prepared to tolerate another raid on the disability budget. Last night it was unclear whether Duncan Smith would lay out his position further in a resignation statement in the House of Commons. He is due to appear on Sunday morning on the BBC’s Andrew Marr programme. The resignation and row over disability cuts is widely seen among Conservatives as a severe blow to Osborne’s chances of leading the party when Cameron steps down, and as a potential boost to the chances of his great rival for the succession, Boris Johnson. Cameron replaced Duncan Smith at the Department of Work and Pensions with Stephen Crabb, the Welsh secretary, who was brought up by a single mother on benefits. Alun Cairn was promoted to the role of Welsh secretary. In his resignation letter to the prime minister, Duncan Smith wrote: “I have for some time and rather reluctantly come to believe that the latest changes to benefits to the disabled and the context in which they’ve been made are a compromise too far. “While they are defensible in narrow terms, given the continuing deficit, they are not defensible in the way they were placed within a budget that benefits higher-earning taxpayers. Duncan Smith has been at loggerheads with Cameron and Osborne over whether Britain should stay in the EU, joining a handful of other cabinet ministers in calling for Brexit. 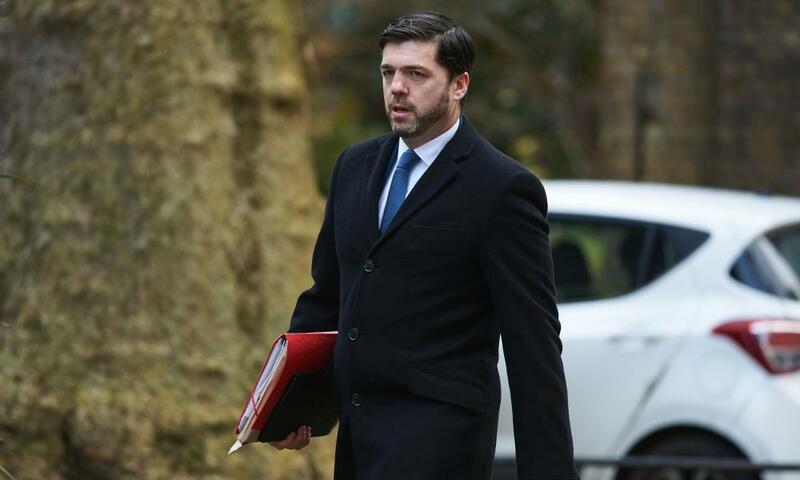 Labour urged Crabb to appear before MPs on Monday to announce formally that the cuts to disability benefits had been dropped. He also urged Crabb to “learn to stand up to a Treasury that – on George Osborne’s watch – is intent on cutting support for those most in need to pay for tax breaks for those who least need them”.